From great rock ‘n’ roll legends like Mick Jagger of the Rolling Stones, to pop divas like Beyonce or Katy Perry – they all know THE BLUES. And so should you! Blues is the root of all popular music and Blues Camp exposes campers to the rhythmic and melodic feels and harmonic frameworks of The Blues through groovy gospel tunes, African American shouts and work songs, the pentatonic scale as well as the blues itself – from its swingin’ roots to present day Soul and R&B. And we’ll do this along with the tonne of musical games, beat boxing, body percussion and other fun-in-the-park activities we do every week. write lyrics to, compose, improvise and sing over 12-bar blues and its derivatives. 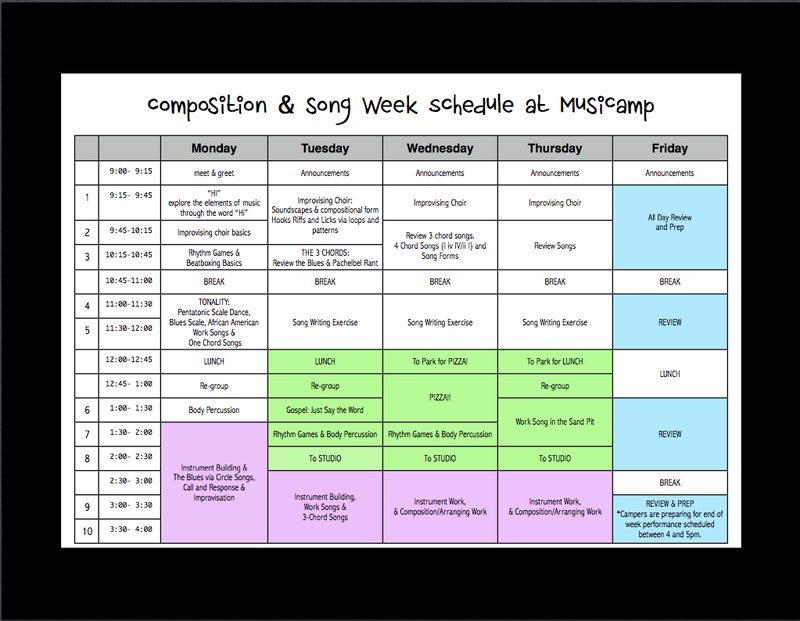 While we do lots of vocal based activities, campers who already have instrumental experience are welcome to bring their instrument for this week and explore the blues instrumentally as well. From the pictures above you can see some campers making diddley bos and bucket basses. The diddley bo is the precursor to the slide guitar and you click the picture below to see how bluesy it sound!. For more info on bucket basses click here. Check out our Gallery for more pictures of previous camps!